Paul Fisher of Fisher Models has made some fine 1/24 resin shelf model display kits of various 1960s sports racing cars. He lives in Paradise, CA, a small town of 27,000 located near Chico in Butte County which by all news accounts was destroyed yesterday by the Camp Fire which had only started hours before and has now spread to over 70,000 acres, more than twice the size of the city of San Francisco. Fisher's 1/24 curbside models of a1969 Ferrari 312 Spyder and Berlinetta converted to slot car bodies. Remember folks, traffic lights timed for 35 MPH, are also timed for 70! Some of the videos of the Butte fires on YouTube and Google, are really quite terrifying. My thoughts and prayers go to all who have suffered. I just talked to my sister, who's about 45 miles east of Paradise, and yes, the whole town is burnt down. Houses, commercial buildings, hospitals, everything... gone. My buddy, Daniel Paolillo lives in Chico. I have been following him on FB. Many people in Paradise have lost everything - and I mean everything. I cannot even start to imagine the hell that some of them must be going through. 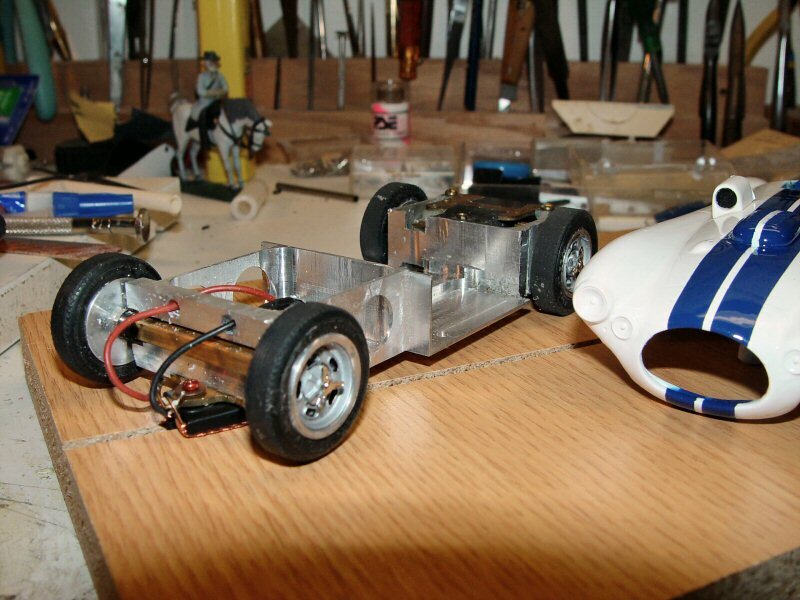 Almost 20 years ago I motorized a Fisher C4R with a machined chassis and a Pittman DC706 motor. Given the weight of the body, it was not destined to be a racer but it certainly looked lovely on parade laps. Any further news or info on Paul Fisher?